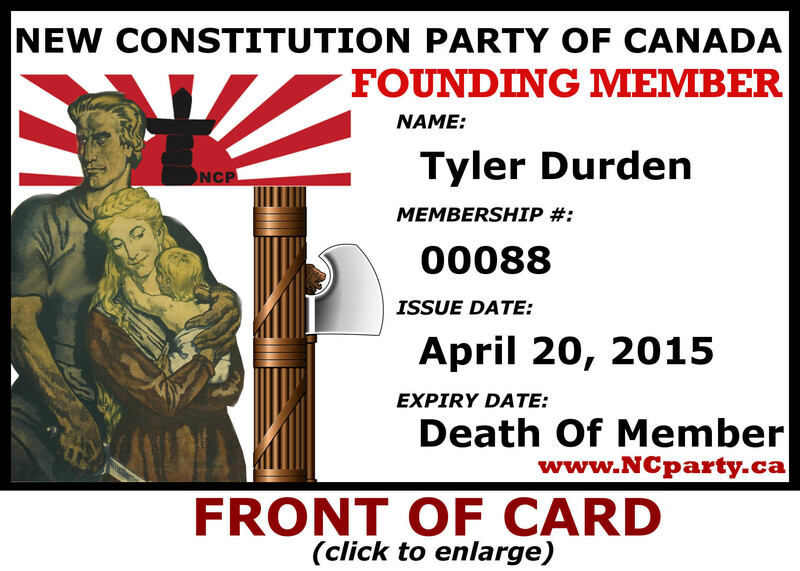 FOR A LIMITED TIME you can become a LIFETIME FOUNDING MEMBER of The New Constitution Party of Canada for only $10. As a founding member you will receive a FOUNDING MEMBER laminated membership card. 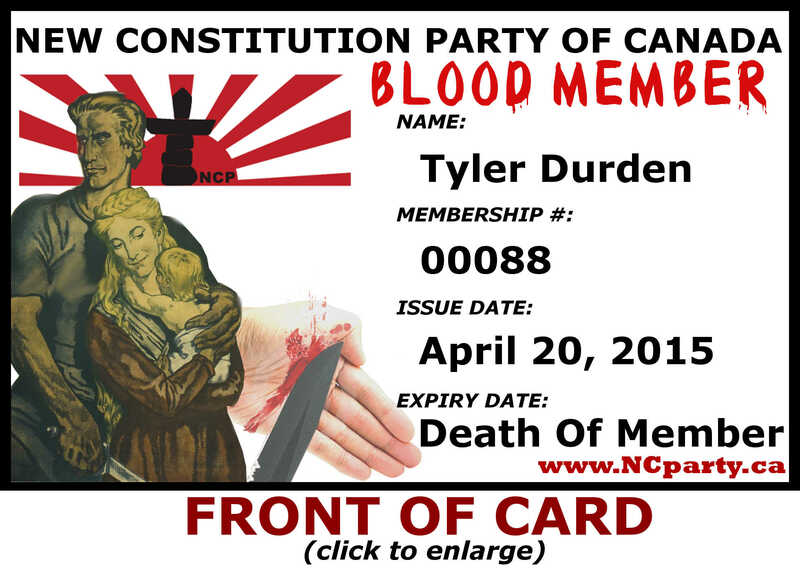 FOR A LIMITED TIME you can become a LIFETIME BLOOD MEMBER of The New Constitution Party of Canada for only $20. 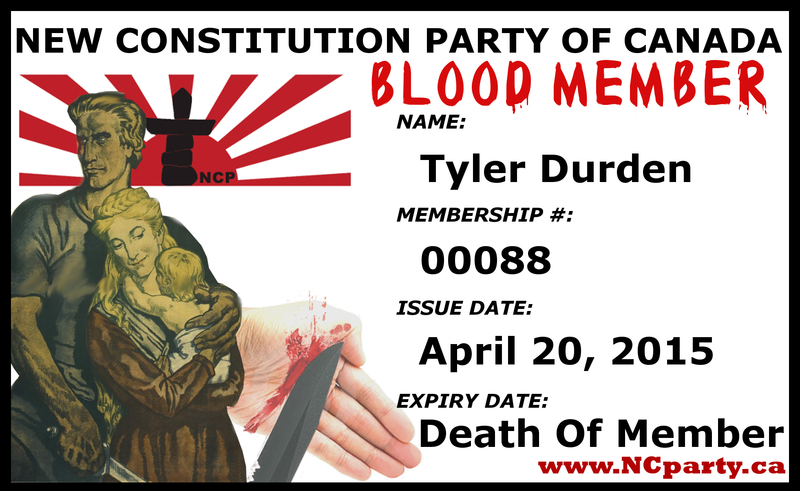 As a blood member you will receive a slick, high-quality, adjustable Velcro NCP ARMBAND in addition to your BLOOD MEMBER laminated membership card. 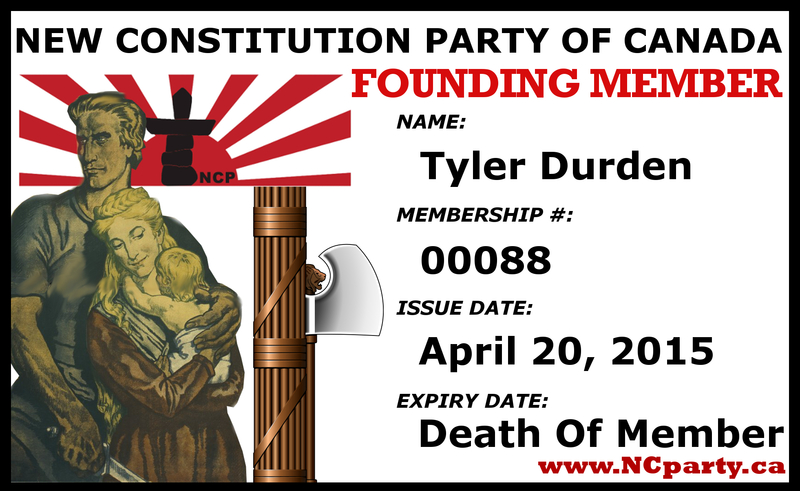 To join the NCP just fill out the online form below and check "YES, I would like to join the NCP!" Take advantage of these limited time offers ASAP--when they expire, party memberships will run on an annual basis, so you will have to pay every year to be a member in good standing. If you prefer not to become a member but merely want to be added to our mailing list, then please indicate such below. 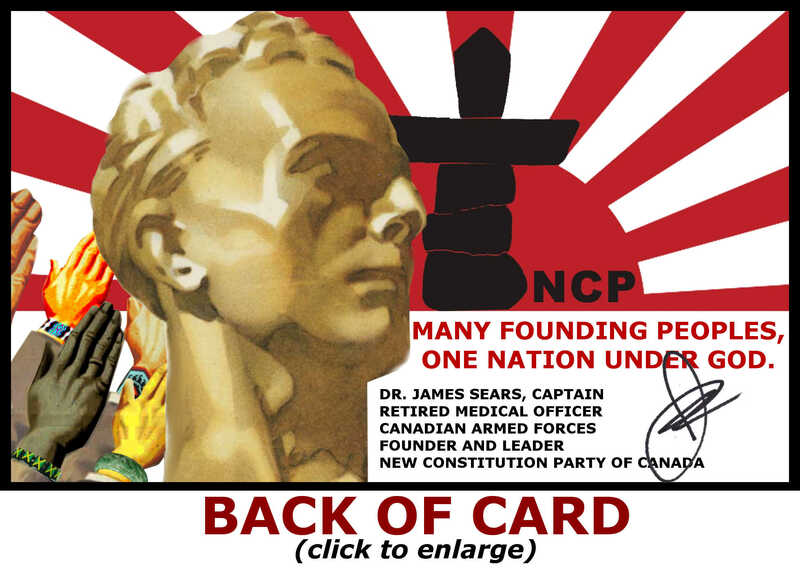 The New Constitution Party of Canada will begin accepting donations within the next few weeks. If you wish to donate, please submit your name and information on our online form below, and check "YES, I would like to donate to the NCP!". We will contact you at that time. 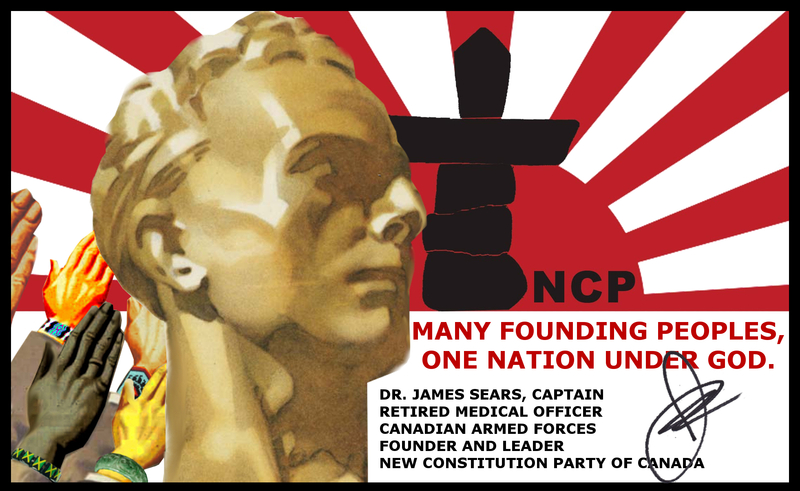 The New Constitution Party of Canada seeks to endorse at least a dozen candidates for the 2019 general election, and candidates in all 338 ridings for the election after that. Though these goals are ambitious, they are very much within the realm of attainability. If you are at least 18 years of age and a Canadian citizen, we will consider you as a candidate, but preference will be given to people who have business experience, solid financial resources and unique skills which would enhance their ability fight a campaign. If you are interested in becoming a candidate, please complete the online form below. Feel free to attach a resume and/or pictures if you so wish. NOTE: You will be added to our mailing list. YES, I would like to join the NCP! YES, I would like to join an NCP fraternity! YES, I would like to donate to the NCP! YES, I would like to run as an NCP candidate!